I am one who has passed the age of worrying whether we should allow our children to use handheld gadgets like smartphones and tablets or altogether ban their use until they get to be 12 years old. During the growing up years of our children, there were also toys and gadgets that they want to play and use all the time and we needed to devise ways to regulate their use of gadgets like Nintendo Family Computer, Game & Watch and others. Nowadays, I wonder how the current parents in such situations decide on this very pressing issue. We have a 7-year old grandchild and I allow her to use my smartphone and tablet when we are with her but those instances are much so few and, of course, the decision whether she could regularly use handheld gadgets belongs to her parents. She’s now in Grade 2 and her school does not allow their students of her age to use those gadgets in their premises. That’s understandable but, at home, is it reasonable not to allow young children to enjoy the use of handheld gadgets? There are many school of thoughts on the above-stated issue and I would like to mention some of them on this blog post. 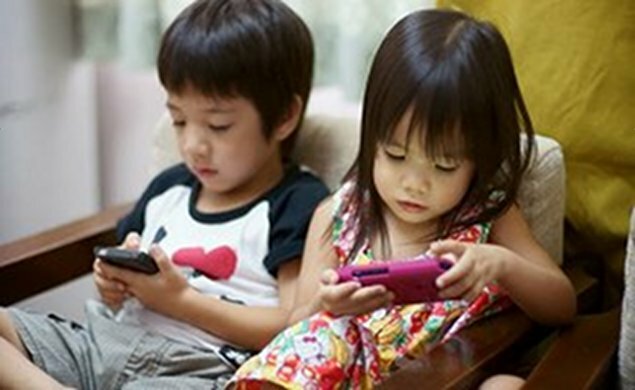 First, there was a much-shared article on “10 Reasons Why Handheld Devices Should Be Banned for Children Under the Age of 12” that mentioned Delayed Development,Epidemic Obesity, Sleep Deprivation, Aggression and Addiction as among the negative effects on young children using the current technology or gadgets. Handheld devices are the “Swiss Army Knife” of modern life: a safety device to keep in contact with family and friends, a camera for documenting the world, a window to connect with grandparents across miles, an e-reader, an educational tool, a gateway to global information, and a source of games and entertainment. To remove that entirely from children up to 12 would cut off an incredibly powerful resource. Childhood obesity arises from a variety of inter-related and inextricable societal, economic, cultural, biological and other factors. It is reductive in the extreme to suggest that media are the sole cause. If the majority of parents allow technology in their children’s bedrooms without supervising its use, and the majority of children are sleep-deprived, third variables like parental supervision or socio-economic issues like family overcrowding, might be at issue.